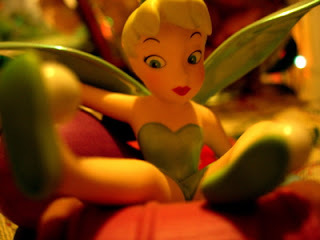 This is a little porcelain stature of Tinkerbell, from Walt Disney's 1953 classic, "Peter Pan". 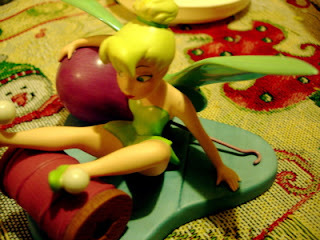 This statue is called "Little Charmer", and is the Membership Sculpture that you received when you joined the Walt Disney Collector's Society in 2001. Look at her face! They get such realism in their scultpures!